The last time I wrote, I shared with you about how I wanted to recapture my long-term goals by making some new short and mid-term goals. I’ve been working on that and have been coming up with some great ways to create sunshine in my life! I’m going to be sharing those with you in chunks. My second goal is to simplify my life. I’m pretty good about saying “No” to obligations that are going to stretch me to the limit. I have a big need for improvement in several areas of my life though. Afterall, I only have 24 hours in a day and I want that time to be spent the ways I choose, not how I have to spend it. I need to work as I provide health insurance for our family. So that stays in the schedule. I will still need to drive to appointments and such. (We live in a rural area, so I feel as if I’m always in the car.) How do/will I try to minimize its impact on my schedule? I I already streamline our outings, combining trips to the grocery store with trips to the park or the doctor’s office. That way, I’m maximizing the gas mileage and time spent away from home. I’m not sure much can change in this area. My daughter will still have many needs and desires. Perhaps if I get her involved in what I’m doing more often, she won’t might not be pulling me in a different direction while I’m trying to accomplish a task. Unfortunately, I am still going to have to be our housekeeper and laundress. I find keeping our cozy (less than 1,000 square feet!) house clean to be an overwhelming task, mostly because we have way too much stuff! You’d never guess it by looking at our house lately, but I’m a firm believer of the philosophy “a place for everything and everything in its place”. There just isn’t enough space for all the belongings we have accumulated. I still have wedding gifts that, 10 years later, are still in boxes! -Ridiculous! This is the most obvious area that needs improvement. Therefore, my goal is to attack this area first. Long term goal: To have a home that is free of non-essential clutter, easy to clean and visually calming while still expressing our family’s personality. Mid-term goal: To create a place for everything within our home. Short-term goals: This week: Get rid of everything we don’t NEED via tag sale. Next week: Touch up trim paint in the living room and master bedroom. First week of June: Purchase frames and hang pictures in living room, master bedroom and little one’s room. The rest of June: Create storage solutions for items we have. While this list is going to require some time and effort, it’s nothing that I can’t handle. If I wanted to, I could have broken it down even further, explaining when and how I would go about getting rid of (ferretting totes out of the basement, sorting, pricing, setting up) those items. And I may choose to do that for the creating storage solutions in June. I’ve found that the key is just to break down each goal into managable chunks of activity, commit to it and then do it. It’s amazing how easily overwhelming projects get tackled when I use this method. It gives me immense satisfaction to complete each task, tick the box and move on to the next item. Okay, I’ve shared some of my goals for the next few weeks… I’d love to hear what you’re working on! I did it! I “survived” a whole week on a whole foods, plant-based diet!! Yes, I’m being sarcastic to a certain degree. However, it wasn’t that long ago that my husband and I had the following (at the time, somewhat serious) conversation. Last night sitting around the kitchen table, we marvelled that we don’t miss it. We haven’t thought about it at all. No staring longingly at blocks of cheddar, trying to catch a glimpse of the mayonnaise jar, or sniffing at my co-workers yogurt containers. Honestly, we just don’t miss any of it. It’s surprising. My biggest challenge this first week has been cooking. My husband is a foodie. He is always on a quest to try new and interesting flavors and combinations of food. He loves exotic and ethnic foods as well as American classics, as long as they’re well prepared. While being married to a foodie has its perks, I have found that cooking for him can be a bit intimidating. You see, my husband tells me the truth about the meals presented to him. “Please don’t make this again,” was a comment heard often early in our marriage. While some women may have burst into tears or thrown a pot at his head, I came to appreciate his honesty. I never have to wonder if he is telling the truth to spare my feelings. And when I do make something he likes, he praises me for my accomplishment. I feel like a million bucks! –On a side note, I will have you know that my husband prefers my homemade spaghetti sauce over that of his best-friend, who is Italian and a professional chef! THAT blows my mind!– Now that you have that background information, you can imagine that trying to cook for my foodie, fat addicted husband comes as a huge challenge when trying to eat without added fats and salt. I cook 96% of all our family’s meals. I would consider myself to be an average – good cook overall. However, like most folks, I do have particular dishes that I excel in making. I take pride in making a good deal of my meals from scratch too. This week was a trying one in the kitchen for me. My husband made our first two meals upon embarking on this endeavor. Then, I took over… After one particularly unappetizing dinner, which I attempted without a recipe, we mutually decided that I should stick with the recipes that come in Dr. Esselstyn’s book, Prevent and Reverse Heart Disease: The Revolutionary, Scientifically Proven, Nutrition-Based Cure or from the online recipes at www.forksoverknives.com until I get the hang of this way of cooking. So it may be awhile before I am able to share any edible good whole foods, plant-based recipes with you. One challenge I’m not facing is a lack of variety or quantity in my food intake. I eat until I’m full, which is a new sensation for me. In the past, I’ve found eating healthy to seem very restrictive. All this yummy fiber tells my stomach loud and clear when it’s full. I thank God when I get that sensation because I know that there are too many in the world who do not have such an experience each day. All in all, I give this week two thumbs up, way up! I’ve experienced food in a new way… One that makes my body happy. I’ve eaten a wide variety of fruits, vegetables and whole grains, to my satisfaction without weighing, measuring or counting a gosh darn thing. Physically, I feel pretty good. I have plenty of energy to do what I need to accomplish and I haven’t noticed any negative side effects. There is one more positive side effect: I lost 11.8 pounds! (I’m doing a little happy dance!) I am very excited about this, but I don’t want to give the numbers on the scale too much emphasis. This isn’t JUST about weight loss for me. It’s a quest for improved health and overall well-being. I hope you’ll find little (or BIG) ways to make your life better so you can make your own sunshine too! About a year ago, I was in a pretty bad place. I was really struggling with the fact that my life seemed to be crumbling down around my ankles. There were so many aspects of my life that I wanted and NEEDED to change, but I had no idea how to go about it. God answered my fervored prayers in this endeavor. No sooner did everything start to go to hell in a handbasket when amazing opportunities started to pop up. One of them was access to a wellness coach. A local woman was completing her training to become a wellness coach and was looking for folks to work with… For free! Immediately, I knew that I wanted and needed to work with her. I was pretty desperate and would grasp any helping hand put in my path. I was all too happy to be a guinea pig! Kristin was the answer to prayer in more ways than one… I will forever be grateful for her presence in my life and the skills she taught me. Upon our first meeting, she asked me to envision the life I wanted to have. What kinds of things would I be doing? What would be different from what I’m doing now? How would I feel physically, mentally and emotionally? From there, we worked our way backward, creating long, mid and short-term goals. For me, this was crucial. After a time of any effort to address it, I had always taken one look at the overwhelming amount of weight I have to lose and think, “I just can’t do it, it’s too much, it will take too long.” Then put my head back in the sand, hoping it would go away. (-That never worked, by the way.) However, by breaking goals down into much more manageable chunks, I was able to see how ALL of my goals could and would be achieved. I committed to these goals with enthusiasm and we accessed my progress as we went along. With Kristin’s never ending encouragement, I was able to gain some pretty significant ground. This continued, past the time that she finished her certification, until my life was actually in crisis. Now some people might think, “Wait a minute! I thought she was helping you… How did you end up in crisis?” For now, I’ll just say that the crisis was a long time in coming. My work with Kristin helped me to have the strength and courage I needed to make some very difficult and painful decisions, empowering me to take action where action was needed. She helped me through the most critical time, when I needed support the most. Fortunately for me, Kristin has taught me a life skill: How to think clearly about and set goals that are realistic. Unfortunately, I let myself get derailed during my time of crisis. Fast forward eight months and I am grateful to be in a better place. God has shown me, through His grace and mercy, the many ways in which I am blessed. I still have a long journey ahead of me, but possess some great skills to help me along the path. I hope to continue adding to my collection of tools as I encounter hurdles. I’ve recently become aware that there is one key to success that is missing. A tool that I must have in order to reach any goal I set. Accountability! While I was meeting with Kristin, I would almost always complete my goals for the week because I didn’t want to disappoint her. I learned that I didn’t like disappointing myself either! It was a great self-confidence builder. Regrettably, when I stopped being accountable to Kristin, I found that it was far too easy to stop completing my lists because nobody would know the difference anyway. (In my therapist’s voice, I hear: “Ah, but YOU know the difference! Why doesn’t that seem to matter as much to you? What are you telling yourself here?”) You see, it is too easy to fall back in the pattern of putting my head in the sand and hoping it will all just disappear. Eventually, I let go of my short and medium term goals, leaving my long-term goals out to flap about in the breeze by themselves. This week, I am going to recapture my long-term goals and set some new mid and short-term goals to help me achieve them. Then I’m going to be super brave and put them out here as a way to keep MYSELF accountable. I am coming to terms with the fact that while other people’s opinions matter to some extent, my goal shouldn’t be to please them. It should ultimately be to please God. Since I am solely accountable to Him, I need to be accountable to myself . As long as my goals are in line with what He wants for me, I believe He’ll bless them. I’d like to challenge you to ask yourself, “What does my ideal life look and feel like? (NO LIMITS!) How does it differ from the life I’m leading today? What can I do to get to that ideal life?” Perhaps you’ll be inspired to make some goals to help you take action. If it does inspire YOU, I hope you’ll share that with me! Ahhhh! I love the feel of a new beginning. The earthy smell of a fresh Spring rain, the thrill of back-to-school shopping, the hope of a newly budding romance, the anticipation of a new birth… <Sigh> Then there’s the chronic (for me) new beginning: a “diet”. What makes me think that changing the way I eat will be any different than all those other times? I’ve probably joined Weight Watchers a dozen times (conservatively), T.O.P.S., Nutri-system and followed the Atkins diet a few times too. Of course, there were the countless times I tried to just eat “healthy” without weighing, measuring or counting calories, carbs or fat. I have also done much of the prep work for the bariatric program at our region’s leading (and most responsible) hospital before deciding it wasn’t for me. Pairing any or all of these with group and individual therapy and a 12 step program has taught me a great deal about myself. Probably the most important thing I’ve learned repeatedly over the years is that I’ve got a very unhealthy relationship with food. Therefore, my health will not change unless my relationship with food changes. Now, if you look at me, my obesity is obvious. One doesn’t become overweight without having some sort of issue with food and/or laziness. (I happen to be overly fond of addicted to sugar. Though surprisingly unlike all other women in my family, I don’t give a hoot about chocolate!) What may not be so obvious is the pain that the weight hides. That weight didn’t get there by “accident”. It wasn’t a concious choice to get fat, per se, just to disappear. Food was a solution to a problem. My weight gain came rapidly when I decided (subconsciously) that I wanted to hide my body, to make it unattractive to men. Like too many women around the world, I was molested as a girl. It was scary! I didn’t want it to happen again. So there was a purpose in gaining weight, even though I didn’t recognize it at the time. Now any purpose driven person with 15 years of practice is bound to be pretty darn “good” at what they’re doing. I was practically an expert! One might think that it would be easy to change this behavior once the reason behind it was revealed. Unfortunately, it’s not been simple or easy! Patterns take a long time to change, especially when emotions are behind them. We’re pretty complicated and amazingly resourceful creatures. Gratefully, I have a fabulous woman who works with me to see those patterns and hear the voice I don’t always hear playing in the background, enabling me to make choices that will help me along my journey. With her help and that of some really incredible women, I’ve been addressing those concerns. The other factor in breaking down my destructive behavior patterns is the damage I’ve already caused my body. My poor body… After 28 years of compulsively overeating, the damage is pretty extensive. I’ve been insulin resistant since I was a teenager. Not that anyone knew it at the time. I fell victim to the endless rollercoaster of sugar highs and lows fueled by my addiction to sugar. I didn’t understand the damage that was being done to my body. I only saw the resulting fat, which was depressing and led to more sugar consumption. In return, this past fall, I was diagnosed with type 2 diabetes. My knees aren’t completely shot yet, but as I age, it’s apparent that they’re on their way. I’ve had lower back pain, bad posture and plantar fascitis due to my weight. -And we won’t even get started on the stretch marks! When I was younger, women used to tell me to, “lose weight now, while your skin will still bounce back”. I never understood this, until I got to be about 36. Now, it’s crystal clear! Curiously, I am not without hope! God has designed this amazing human body of mine (and yours!) to endure. It’s goal, in spite of the evil I might do to it, is to survive. What an amazing thought! According to Dr. Caldwell B. Esselstyn, Jr. , of the documentary Forks Over Knives and The China Study, at least some of the damage can be undone. Cholesterol levels, blood sugar levels, blood pressure, etc… all returning to within normal, healthy ranges when following his recommended plan of eating. 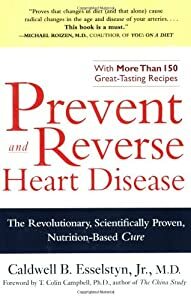 (See his book Prevent and Reverse Heart Disease: The Revolutionary, Scientifically Proven , Nutrition-Based Cure for details.) I am also still relatively young, mobile and VERY willing to try my best. And gratefully, I have a small community of fabulous people who love and support me in my quest for a healthy, sunshine filled life. Without them, I would certainly give up. I find that for me, accountability is crucial to accomplishment. What do you find helps you stay accountable to a large goal? Do you ever feel, like Eeyore, that there’s a cloud hanging over your head? I do! I turned 40 this past summer and have since spent a great deal of time in introspection. “Am I truly happy?” “What do/don’t I like about my life?” “What can I change?” “Where do I see myself in 5 years?” “Where do I WANT to be in 5 years?” I don’t think of this as a mid-life crisis. I’m just re-evaluating my life. One thing that has become startlingly clear is that my relationship with food HAS to change in order for me to have a healthy life. After three decades of abusing food (sugar especially!) as a compulsive overeater, I was diagnosed as having type 2 diabetes. I have tried diet after diet (Weight Watchers, Nutri-system, Atkins, a 12-step program, etc…) since I was twelve, all with no long-lasting results. I even checked into bariatric surgery, which I ultimately decided was not the right option for me. What could I do differently? I began to think about the subject, a lot. This winter, the opportunity to participate in a “Biggest Loser” type competition through a local personal trainer arose. I decided that exercise needed to be part of the solution because my body frequently feels like it is much older than it is. I took personal training sessions for half an hour a week and took other fitness classes, schedule permitting. This was difficult for me initially. I had a lot of negative self-talk going on in my head. “They’re all looking at you!” “You’re too fat to be exercising in public!” “You’re going to make a fool out of yourself!” I pressed my internal mute button and made myself do it anyway. As a result, I discovered a that I LOVE the physicality of kickboxing! There is NO better release for me at the end of a frustrating day than to hit and kick the crap out of an inanimate object! I’ve even decided that there’s another class that I want (GASP!) to try: kettle bells. During this time, my blood sugars weren’t great, even with medicine. So, my husband and I decided to begin the Atkins diet again because it works for us, with regard to blood sugar levels, ease and not obsessing about food all the time. However, as has happened in the past, after a few weeks, I found myself craving fruit, whole grains and a wider variety of vegetables again. In the 10 weeks with this program, I lost a total of 23.8 pounds and over 6 inches from my middle. Not too shabby! I wanted to talk about it with EVERYBODY! I put it out as subject for discussion on Facebook, tried engaging co-workers, encouraged friends to watch it. All with no immediate results. I knew I especially needed to talk to my husband about this. If I know anything about myself, it’s that I tend to be a wee bit gullible. I know that I can’t always trust myself to discern the truth. I wanted to know what other people thought of the ideas presented in these shows. I REALLY wanted to see what my husband, Mr. Analytical, always the skeptic thought. 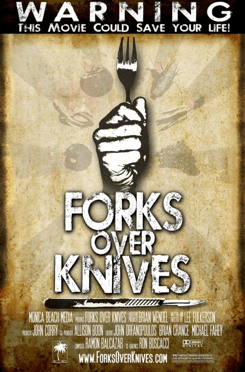 Surprisingly, he found “Forks Over Knives” to be an interesting documentary, worthy of further consideration. After further consideration, my husband and I decided that it IS worth pursuing a whole foods, plant-based diet. You might think, “Oh, she’s going to eat like a vegetarian.” (That’s what I thought at first too!) Nope. I’m not going to eat anything with a mother, no dairy (KILLING my Wisconsin-ness!! ), no fat, no nuts. This will NOT be easy! In the 20 years that I’ve been cooking, EVERYTHING I’ve cooked and baked has had fat in it. It will challenge all my cooking skills, my creativity in the kitchen and my desire to do what is right for my body. But I HAVE to try. Time will tell if the “proof is in the (proverbial) pudding”. I hope to share my recipes, struggles and triumphs with you along the way, all the while making my own sunshine. Has a change in perspective sparked a major change in your life? If so, I’d love to hear about it!